HOW TO USE: Take this medication by mouth exactly as prescribed. This drug may be taken with or without food. During the first few days your doctor may gradually increase your dose to allow your body to adjust to the medication. If you are using the liquid form of this medication, measure your dose with a special measuring spoon or device. Do not use a household spoon because it may not provide the correct dose. The dosage is based on your medical condition and response to therapy. Continue to take this medication as directed, even if you are feeling better and thinking more clearly. Do not take this more often or increase your dose without consulting your doctor. Your condition will not improve any faster but the risk of serious side effects will be increased. Do not stop taking this drug without your doctor's approval. Use this medication regularly in order to get the most benefit from it. Remember to use it at the same time(s) each day. Inform your doctor if your condition persists or worsens. PRECAUTIONS: Before taking risperidone, tell your doctor or pharmacist if you are allergic to it; or if you have any other allergies. This product may contain inactive ingredients, which can cause allergic reactions or other problems. Talk to your pharmacist for more details. Before using this medication, tell your doctor or pharmacist your medical history, especially of: liver disease, kidney disease, low blood pressure, seizures, Parkinson's disease, memory problems (dementia), difficulty swallowing (especially in patients with dementia or Alzheimer's disease), strokes (cerebrovascular disease), dehydration, breast cancer, low white blood cell count. (See also Side Effects section.) Also tell your doctor or pharmacist if either you or a family member has a history of the following: diabetes, heart disease (e.g., heart attacks or ischemia, arrhythmias), high blood cholesterol/triglyceride levels, high blood pressure, obesity. 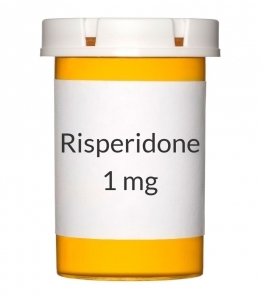 Risperidone may cause a condition that affects the heart rhythm (QT prolongation). QT prolongation can infrequently result in serious (rarely fatal) fast/irregular heartbeat and other symptoms (such as severe dizziness, fainting) that require immediate medical attention. The risk of QT prolongation may be increased if you have certain medical conditions or are taking other drugs that may affect the heart rhythm (see also Drug Interactions section). Before using risperidone, tell your doctor or pharmacist if you have any of the following conditions: certain heart problems (heart failure, slow heartbeat, QT prolongation in the EKG), family history of certain heart problems (QT prolongation in the EKG, sudden cardiac death). Low levels of potassium or magnesium in the blood may also increase your risk of QT prolongation. This risk may increase if you use certain drugs (such as diuretics/"water pills") or if you have conditions such as severe sweating, diarrhea, or vomiting. Talk to your doctor about using risperidone safely. This drug may make you dizzy or drowsy. Do not drive, use machinery, or do any activity that requires alertness until you are sure you can perform such activities safely. Avoid alcoholic beverages. This medication can reduce sweating. Heatstroke may occur if you become overheated during exercise or other physical activity or in hot weather. Drink plenty of liquids to avoid the risk of heatstroke. Caution is advised when using this drug in the elderly because they may be more sensitive to its effects, especially the lowering of blood pressure. During pregnancy, this medication should be used only when clearly needed. Discuss the risks and benefits with your doctor. Do not stop taking this medication unless directed by your doctor. Babies born to mothers who have used this drug during the last 3 months of pregnancy may infrequently develop symptoms including muscle stiffness or shakiness, drowsiness, feeding/breathing difficulties, or constant crying. If you notice any of these symptoms in your newborn anytime during their first month, tell the doctor right away. This medication passes into breast milk and may have undesirable effects on a nursing infant. Consult your doctor before breast-feeding. DRUG INTERACTIONS: Your doctor or pharmacist may already be aware of any possible drug interactions and may be monitoring you for them. Do not start, stop, or change the dosage of any medicine before checking with them first. This drug should not be used with the following medication because a very serious interaction may occur: sibutramine. If you are currently using the medication listed above, tell your doctor or pharmacist before starting risperidone. Before using this medication, tell your doctor or pharmacist of all prescription and nonprescription/herbal products you may use, especially of: antidepressants (e.g., fluoxetine, paroxetine), high blood pressure medicine (e.g., beta-blockers such as propranolol, alpha-blockers such as doxazosin or prazosin), medications for Parkinson's disease (e.g., levodopa). Many drugs besides risperidone may affect the heart rhythm (QT prolongation), including amiodarone, dofetilide, pimozide, procainamide, quinidine, sotalol, macrolide antibiotics (such as erythromycin), thioridazine, sparfloxacin, among others. Therefore, before using risperidone, report all medications you are currently using to your doctor or pharmacist. Tell your doctor or pharmacist if you also take drugs that cause drowsiness such as: medicine for sleep (e.g., sedatives), tranquilizers, anti-anxiety drugs (e.g., diazepam), narcotic pain relievers (e.g., codeine), psychiatric medicines (e.g., phenothiazines such as chlorpromazine, or tricyclics such as amitriptyline), anti-seizure drugs (e.g., carbamazepine), muscle relaxants, antihistamines that cause drowsiness (e.g., diphenhydramine). Check the labels on all your medicines (e.g., cough-and-cold products) because they may contain drowsiness-causing ingredients. Ask your pharmacist about the safe use of those products. This document does not contain all possible interactions. Therefore, before using this product, tell your doctor or pharmacist of all the products you use. Keep a list of all your medications with you, and share the list with your doctor and pharmacist. OVERDOSE: If overdose is suspected, contact your local poison control center or emergency room immediately. US residents can call the US national poison hotline at 1-800-222-1222. Canadian residents should call their local poison control center directly. Symptoms of overdose may include unusual drowsiness; fast heartbeat; fainting; unusual muscle movement or stiffness of the face, neck, or limbs; tremor; seizures; and loss of consciousness. MISSED DOSE: Try to take each dose at the scheduled time. If you miss a dose, take it as soon as remembered; do not take it if it is near the time for the next dose, instead, skip the missed dose and resume your usual dosing schedule. Do not "double-up" the dose to catch up. STORAGE: Store this medicine at room temperature away from light and moisture. Per the U.S. manufacturer, store the US product between 59 and 77 degrees F (15-25 degrees C). Per the Canadian manufacturer, store the Canadian product between 59 and 86 degrees F (15-30 degrees C). If you use the oral solution, do not allow it to freeze. Do not store in the bathroom. Keep all medicines away from children and pets. Do not flush medications down the toilet or pour them into a drain unless instructed to do so. Properly discard this product when it is expired or no longer needed. Consult your pharmacist or local waste disposal company for more details about how to safely discard your product.